British baking and flour milling company, Hovis, continues to grow with 130 years of baking and milling experience, delivering bread products to households up and down the country. With headquarters in High Wycombe, the company works across eight bakeries, four flour mills, one wheat malting facility and three regional distribution centres across the UK. This is possible thanks to the approximate 3,200 members of staff. 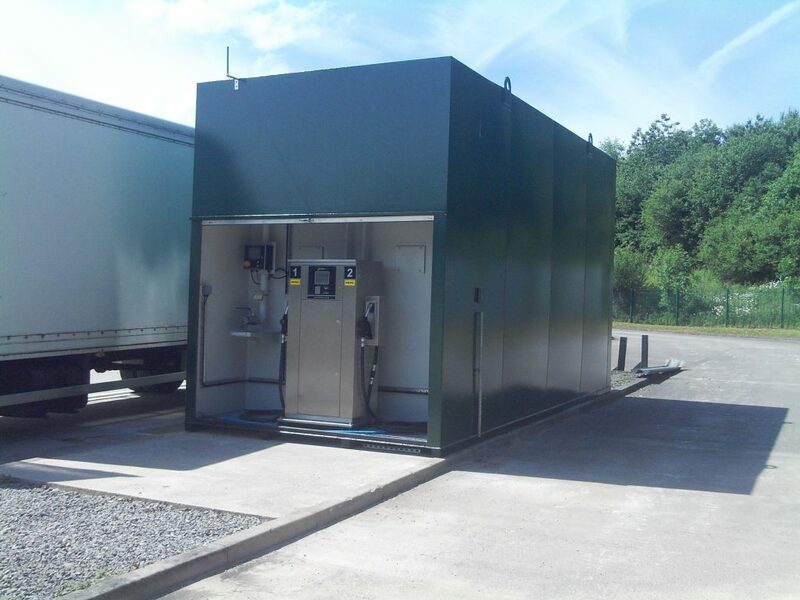 Fueltek were approached to find solutions for two depots in different locations, one in Glasgow and the other in Warrington. These solutions were required to streamline the Hovis distribution network, north and south of the Scottish border through the addition of fuel management solutions. 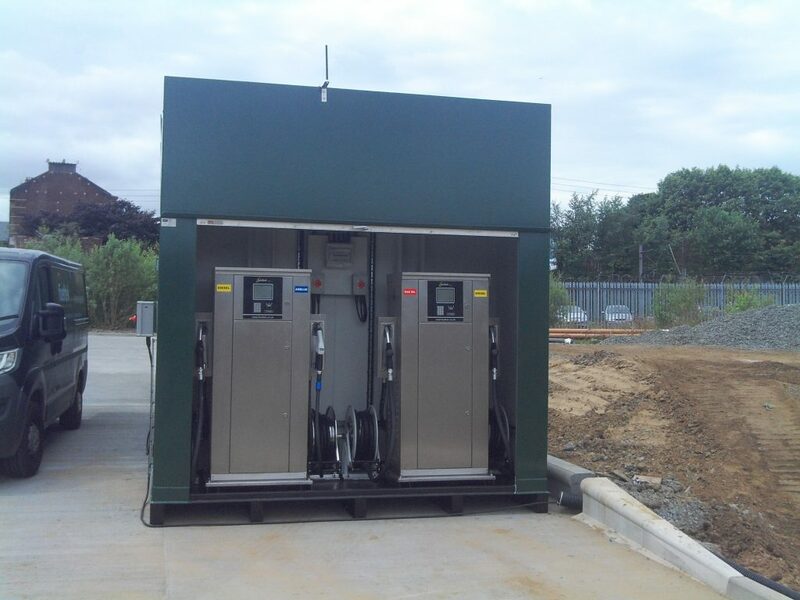 Fueltek supplied two new complete packages over the two sites. In Glasgow, this comprised of a three product, three compartment fuel storage tank with a capacity of 82,000 litres. This tank contained 70,000 litres for diesel, 6,000 litres for gas oil and 6,000 litres for AdBlue and Measured 3 metres wide, 3.5 metres high and 13 metres long. The solution also included three offset fill points for tanker deliveries of diesel, gas oil and AdBlue. Other features included Tank Watch, the incorporation of electronic contents gauge, bund alarm, overfill alarms, mains distribution board and an internal light with internal switch. At the Warrington depot, we provided a single product solution: a single compartment fuel storage tank with the capacity of 40,000 litres. The installation was designed to house a Twin FT4000AP integrated fuel management system for diesel and measured 3 metres wide, 3.5 metres high and 6.3 metres long. Within the solution we provided, we also included a one-off FT4000AP Twin diesel fuel pump, Tank Watch, bund and overfill alarms, mains distribution board, Tank Watch contents gauge, internal light with internal switch and offset 75mm fill point for tanker deliveries. The solutions we provided were chosen carefully in order to help Hovis to streamline their operations between the locations and throughout their distribution network. One of the most important considerations was the space available and how we could ensure that our solutions provided all that was required, within a limited space. At these depots and transport yards, space is an essential consideration, so we were mindful of the equipment not taking up too much space. AdBlue was also included at both locations, helping the company to reduce their impact on the environment as well as helping them to meet government standards. With the addition of our fuel management solutions, Hovis are now able to accurately monitor and safeguard their fuel in an efficient way within their busy depots. We are committed to working with our clients to find the right solutions that fit their requirements. If you would like to find out more about any of our fuel management systems – including AdBlue solutions – and how we can aid your business, please don’t hesitate to get in touch with a member of our team who will be happy to discuss your requirements further.